Relive the magical scene from Disney Cinderella with the Cinderella Magic XL Wallpaper Mural by RoomMates! 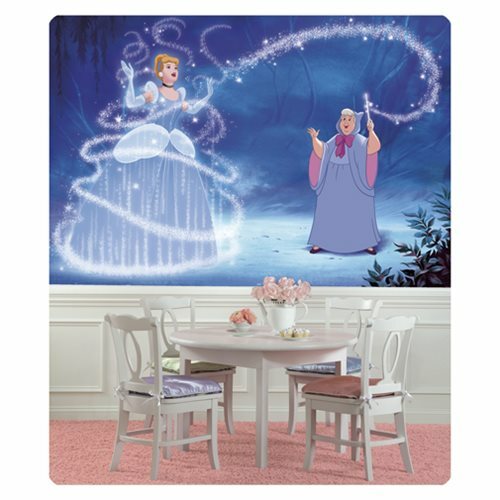 A great way to transform any kids' room, add this Cinderella Magic wallpaper mural to any room in no time. Simply activate each of the seven wallpaper panels with water and hang on any flat surface. Decal measures 10 1/2-feet wide x 6-feet tall when complete.